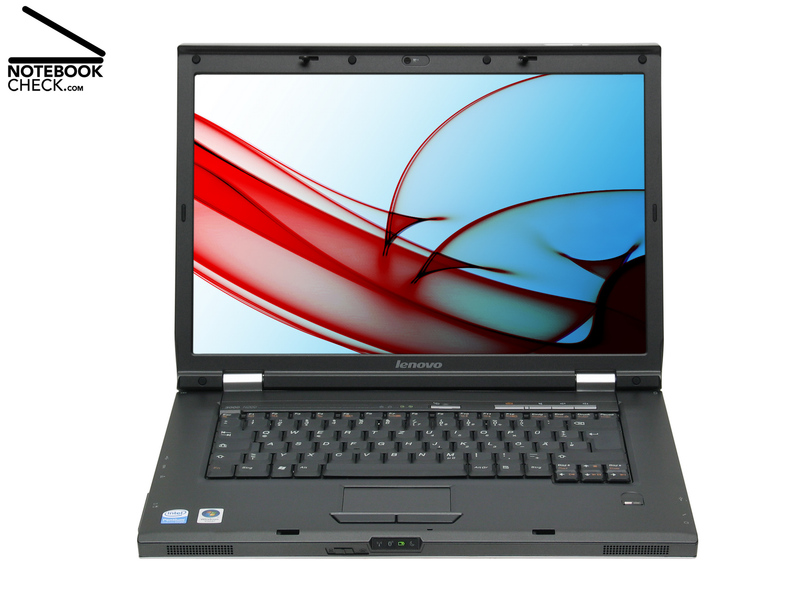 The Lenovo 3000 N200 should be a 15.4 inch notebook with good workmanship, belonging to the beginner category, which especially attracts price-conscious customers. It raises the level of the office category, by being equipped with a dual core processor, 160 GB hard disk, Bluetooth, fingerprint reader, and web cam and by being offered at a great price of below 600 Euro. 'Tiger & Dragon' compete not only for the best office building, China on the mainland with the Shanghai World Financial Trade Center and the tiger Taiwan with the Tapei Financial Center. They also compete for sales of computers. iSuppli reported that the tiger Acer from Taiwan could gain a market share of 9.1 percent and ranks therewith third in the sales statistics of world-wide sold computers. 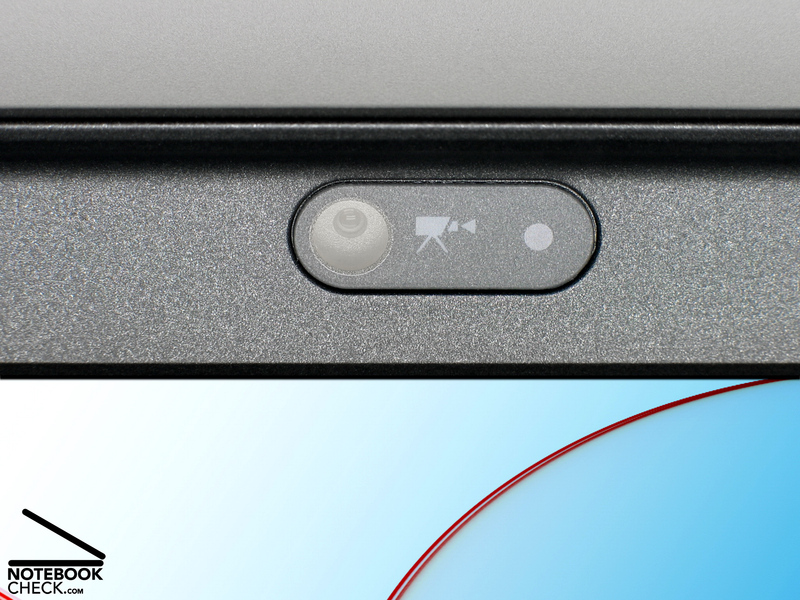 The dragon Lenovo from China, ranks with 7.5 percent market share fourth. Lenovo already signalized that it wants to overtake Acer on the PC market again. The ThinkPad notebooks are solid notebooks designed for businessmen which provide a lot of expansion options. But, the dragon also wants to compete against other manufacturers, e.g., Acer, in the category of reasonable beginner notebooks. 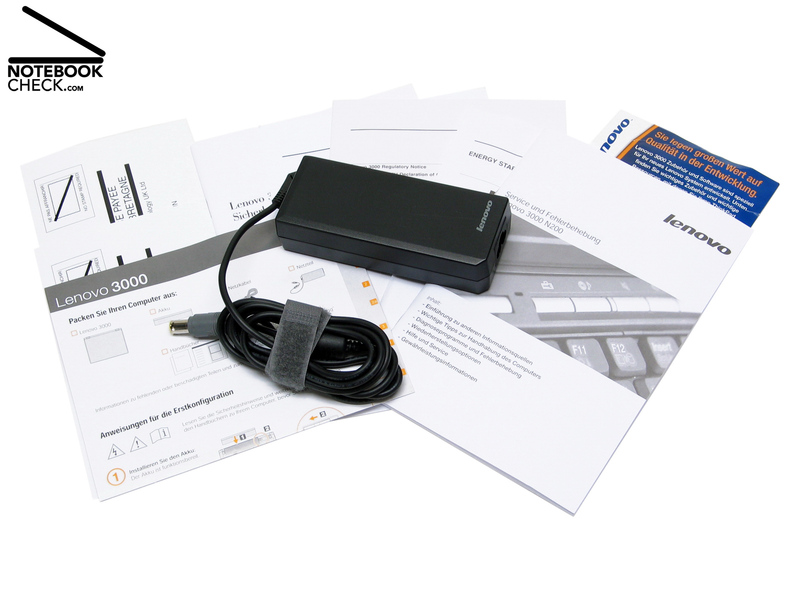 The 3000 N200 series, which provides up-to-date equipment, e.g., an ExpressCard slot and an up-to-date dual core processor, is especially designed for attracting price-conscious customers. The following review covers, how well the 3000 N200, dragon's son, does in the competition for the best beginner notebook. Plain and without ornaments. 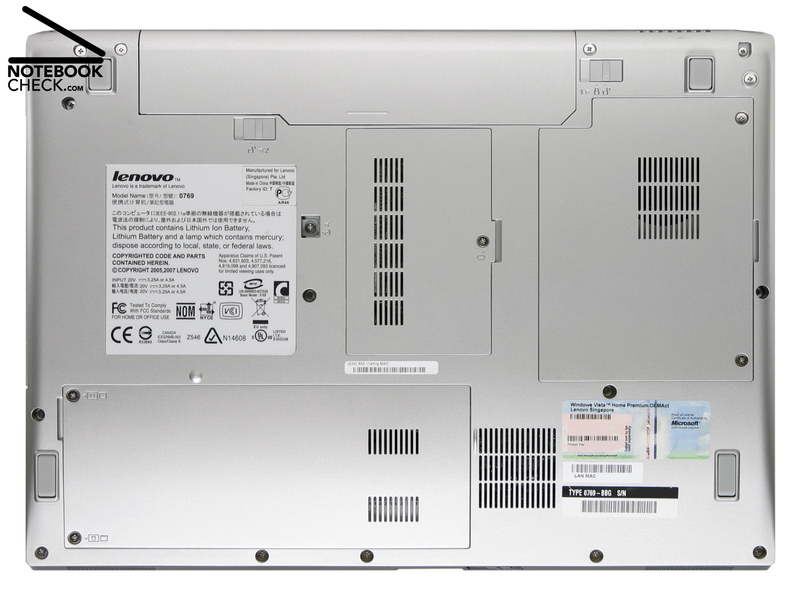 This is the way the 36.1 cm x 26.5 cm x 4.4 cm Lenovo 3000 N200 looks like. Also the design of the lid is simple, silver instead of being glossy. However, the silver surface is rather sensitive to scratches and does not appear to be of high quality. So, you should take care, whenever you put this notebook into a bag. Inside the switches and the cover of the hinges, which are made of plastics, are silver. The orange labels on the function keys also make the otherwise dark gray beginner notebook look more a little more vivid. 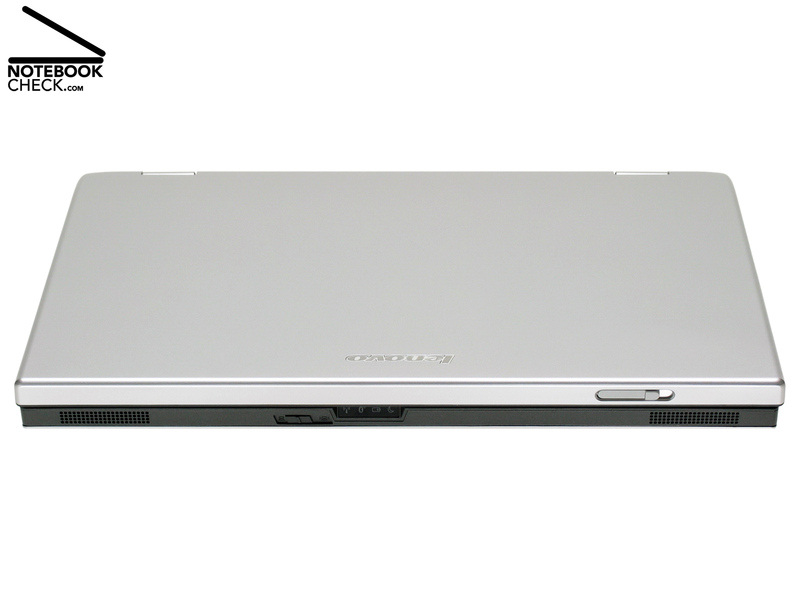 The workmanship of the case of the Lenovo 3000 N200 is good. All parts fit precisely to each other. Only the tummy for the ExpressCard/54 slot projects somewhat nasty looking over the case. The stability of the top and the bottom trough is not really convincing. If you pick this notebook, which weighs about 2.8 kg, up, you can hear the typical creaking of plastic parts. 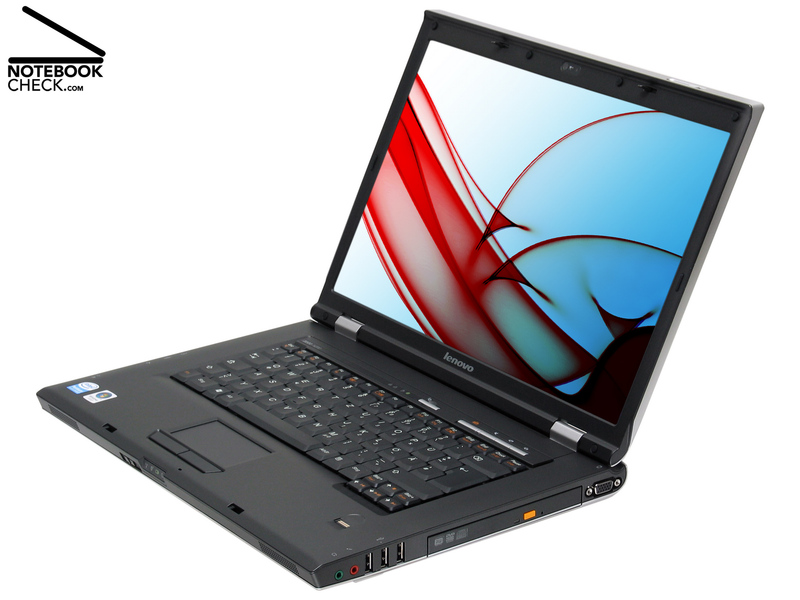 In this aspect we prefer the also reasonable Acer Extensa 5220 (also the 5620/5620Z series). However, the lid is, besides the finish, solid. It is flexural rigid and applying gentle force at the outside only slightly changes the picture on the turned on display. Although the covers of the hinges are made of plastics, they hide strong hinges made of metal. So, there is hardly any see-saw, even when pushing the notebook. Considering this is a reasonable office notebook, the Lenovo 3000 N200 scores points regarding the interface aspect as it provides built-in Bluetooth and a fingerprint reader. These are features which are often missing in this price category, Furthermore, it is equipped with a modern ExpressCard/54 slot, which supports modern expansion cards. 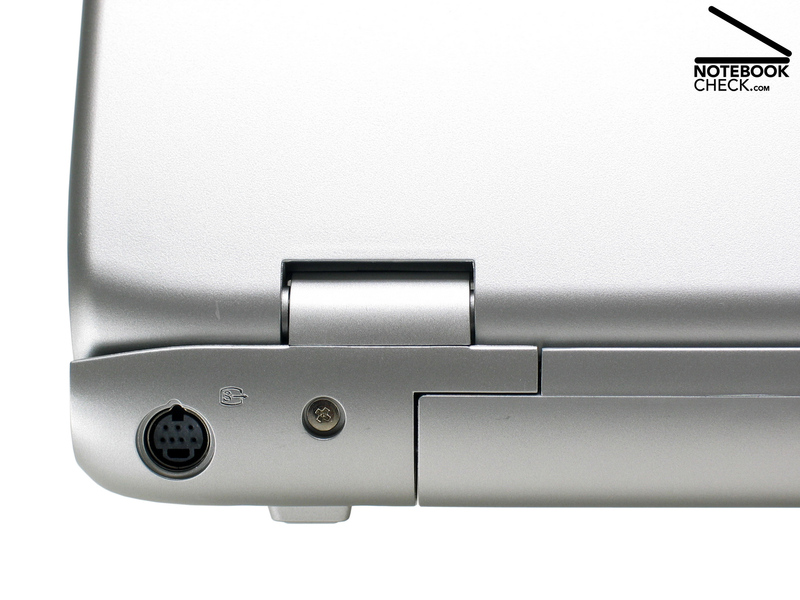 However, a PCMCIA slot for older PC cards is missing. 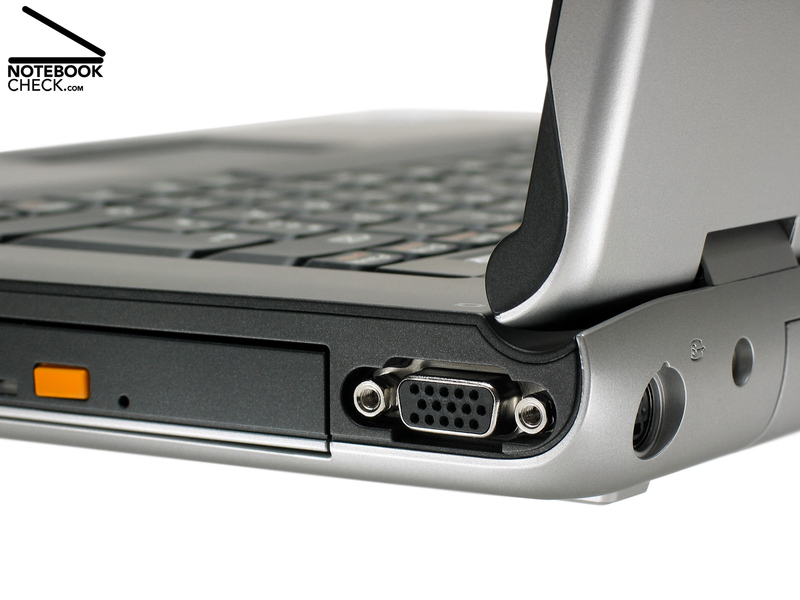 Besides four fast USB 2.0 ports the Lenove 3000 N200 is also equipped with FireWire (i.LINK, IEEE 1394), a S-Video port, and a standard VGA port. 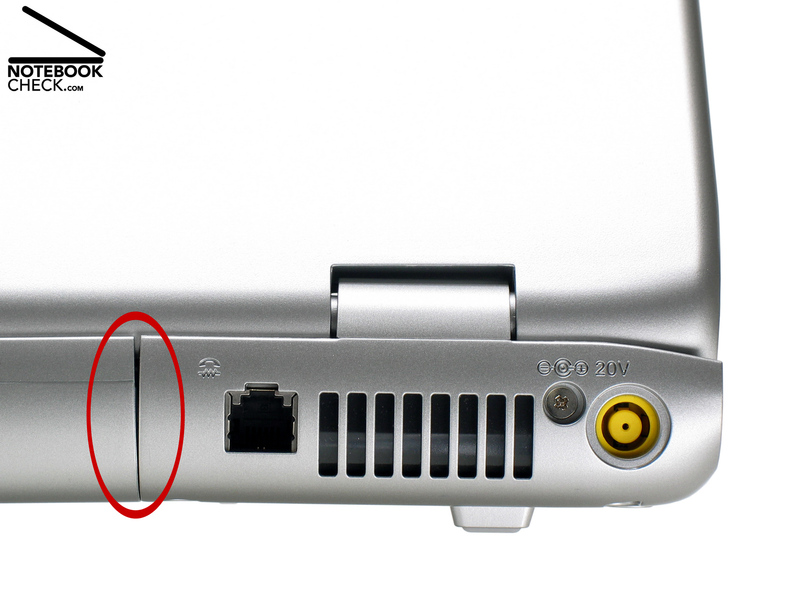 A DVI or a HDMI port is missing, but up to now also not provided by competitor notebooks of the same category. 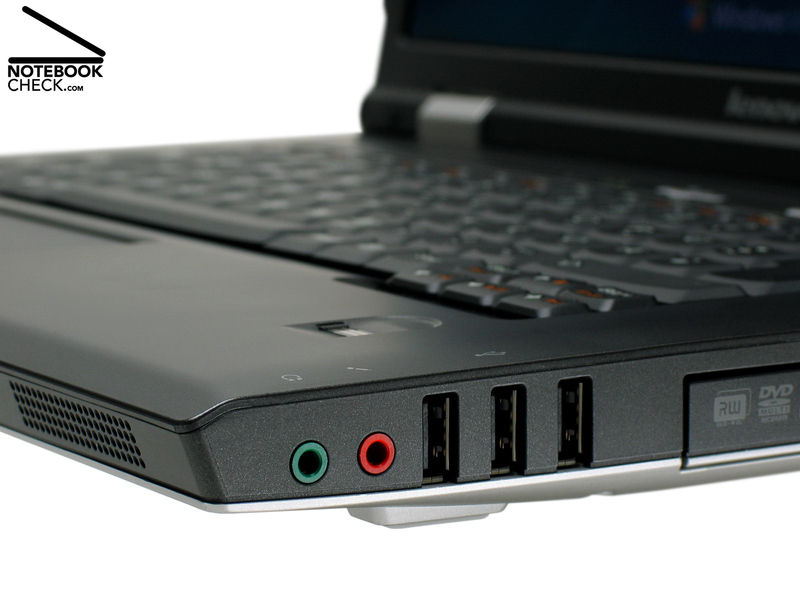 However, only ThinkPad business notebooks are equipped with a docking port and swappable drive bay. But the 3000 N200 is equipped with a 5-in-1 card reader, which supports MultiMediaCard (MMC), Memory Stick Standard, and Pro (MS, MS Pro), Secure Digital (SD), and xD-Picture Card (xD). The web cam, built-in into the display frame makes video conferences possible. Today, smaller network are even at home more and more popular. The maximum transfer rate over the LAN interface is only 100 MBit/s, which is even for a beginner notebook not up-to-date. Of course the standard 56K modem is also in this price category available. Being equipped with Intel's Pro/Wireless 3945ABG (IEEE 802.11a/b/g) wireless data communication is possible whereas all three standards are supported. However, Draft-n- (300 MBit/s) and UMTS/HSDPA is not supported by the Lenovo 3000 N200. In this price category in particular cost of accessories are cut. Being delivered inside an otherwise empty box the Lenovo 3000 N200 is no exception. 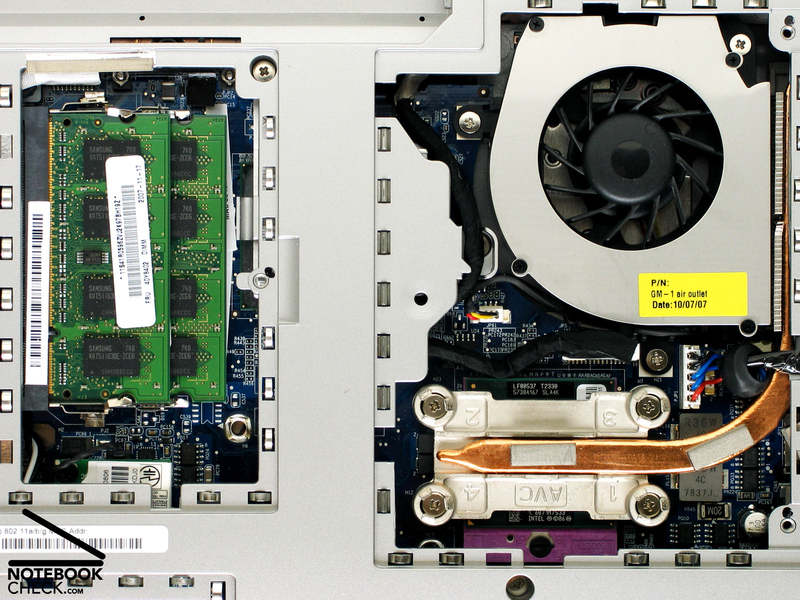 Optical media for system recovery are not included. However, launching „Rescue and Recovery“ the preset software installation on the hard disk can be easily recovered. But, a complete system recovery including all drivers and tools requires two hours, which is a quite long time. German software versions: Some outputs by Lenovo software weren't carefully translated and sound strange, e.g., 'austreten' for 'quit', and umlauts are partly missing. 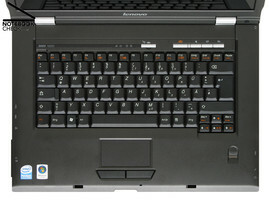 The 'Lenovo Care' key and three further hot keys ease configuration and maintenance of this notebook, and volume control. 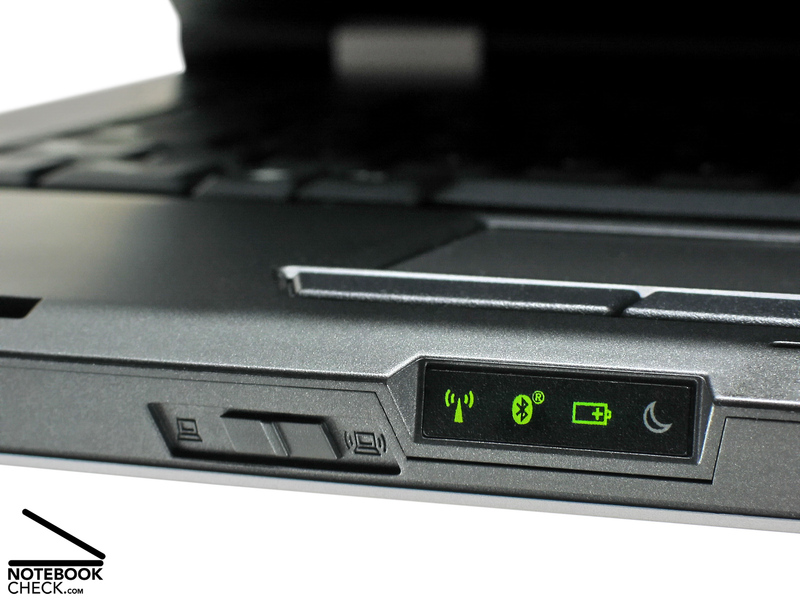 Furthermore, a small slide switch at the notebook's front side allows to quickly activate respectively deactivate Bluetooth and WLAN. 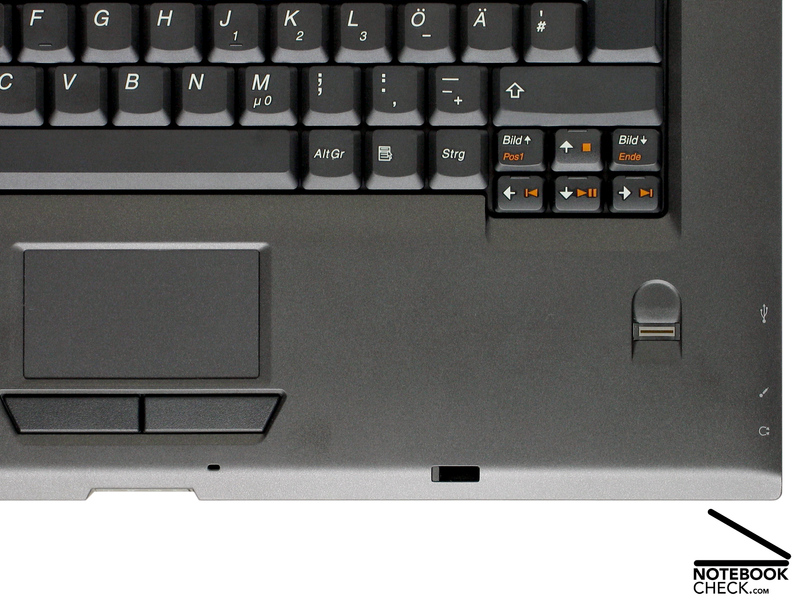 The way this keyboard with 85 keys looks like and feels to the touch definitely reminds on the keyboards of the ThinkPad series. 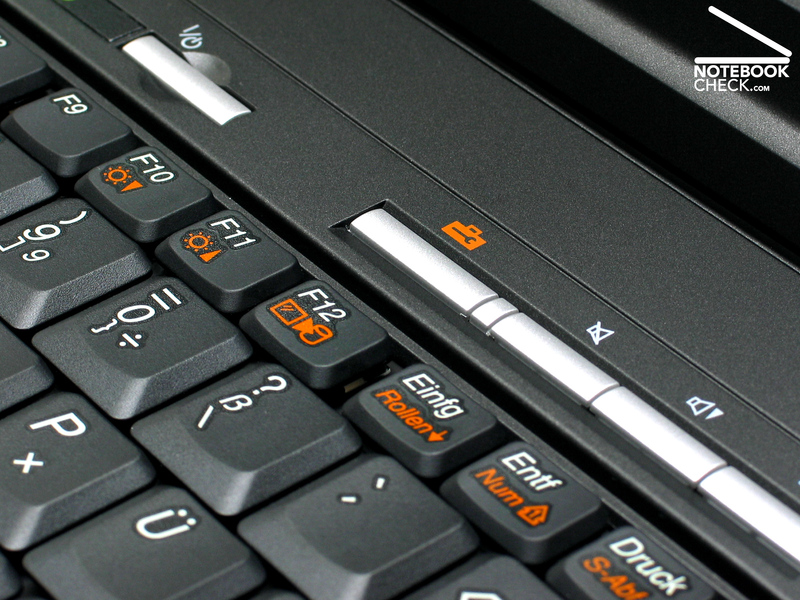 The keyboard layout is unusual, so, frequent typing mistakes are likely at the beginning and make switching to this notebook keyboard unnecessarily hard. 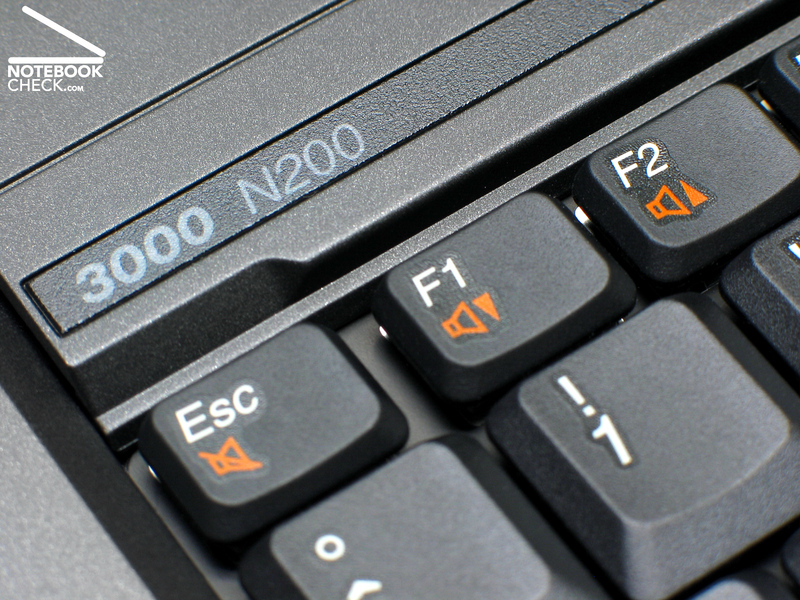 The left 'Fn' key and the 'Ctrl' are reversely located, the 'Del' key is instead of totally at the top right, two keys further left. Pos1 and End are missing at all. Their functionality has to be simulated by pressing a Fn key combination - points being deducted! However, we otherwise liked this keyboards, it feels nice to the touch, and is mechanically alright. The size of 1.3 cm x 1.4 cm is not really big for standard keys. But, key travel and key feedback are convenient, and so is stability of the keyboard. The whole surface which is usually touched proves to be quite solid. Furthermore, the clicking noise is pleasantly quiet. However, those who write a lot might be annoyed by clearly wobbling big keys, i.e., 'enter', right 'shift' and space bar. The touchpad is 7.0 cm x 3.8 cm big. 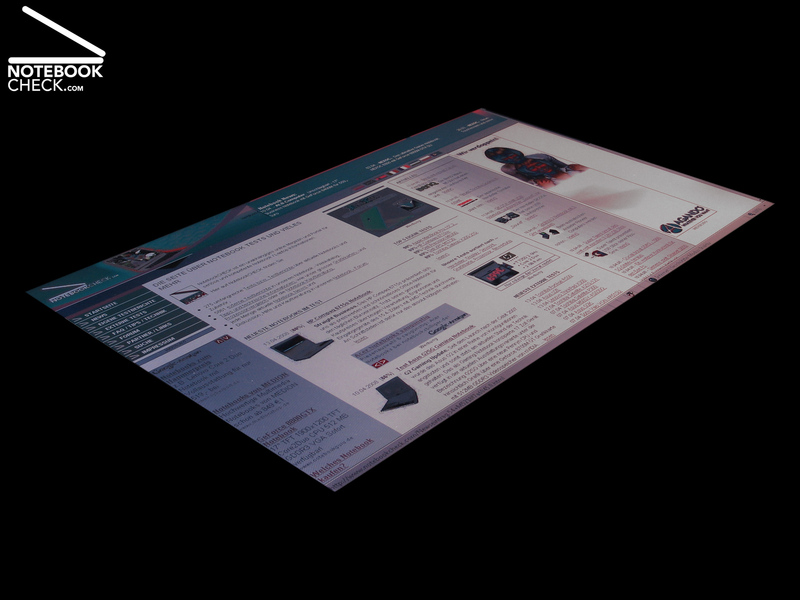 Its surface is handy and it makes a precise control of the mouse pointer possible. An optically marked scroll area is missing. Although the touchpad buttons are a little bit wobbly, their clicking noise is rather quiet. 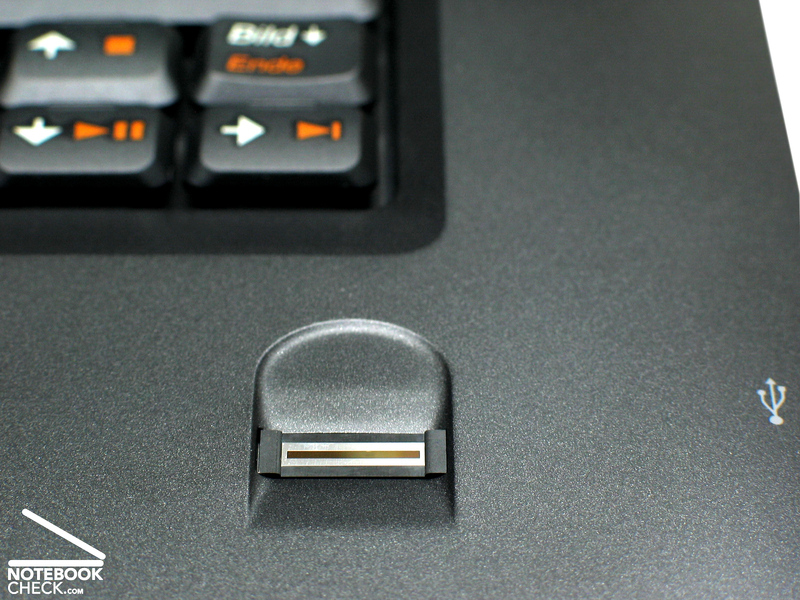 Only the clearly more expensive ThinkPad notebooks are equipped with an additional pointing stick. The Lenovo 3000 N200 is equipped with a 15.4 WXGA glossy widescreen with an aspect ratio of 16:10. 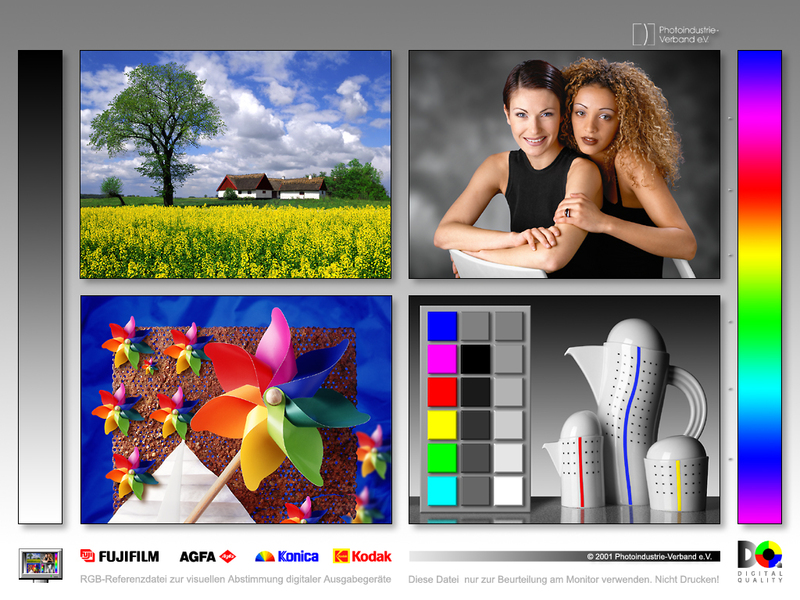 The native resolution is 1,280 x 800 pixels, which conforms to the usual standard. 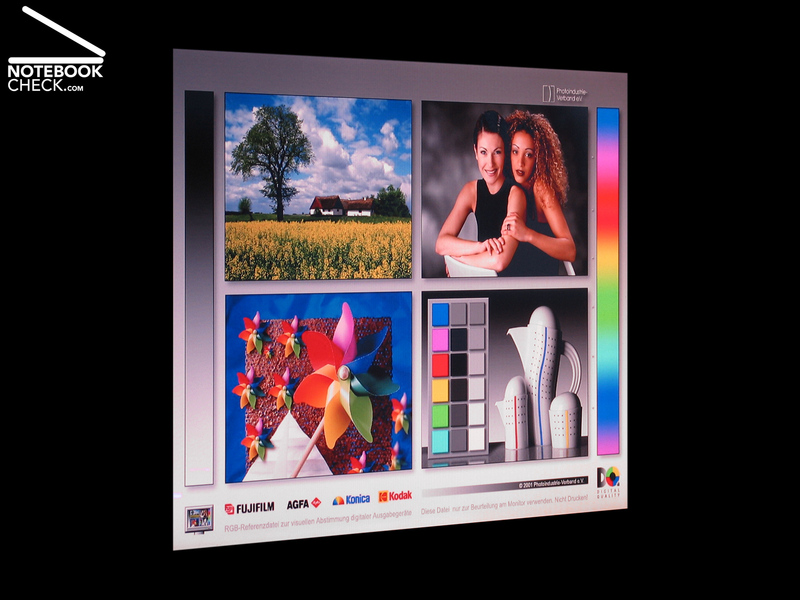 This screen called 'VibrantView' is made by Chi Mei Optoelectronics (N154I2-L02). Its calculated average brightness is 151,5 cd/m² , which is satisfying to good. 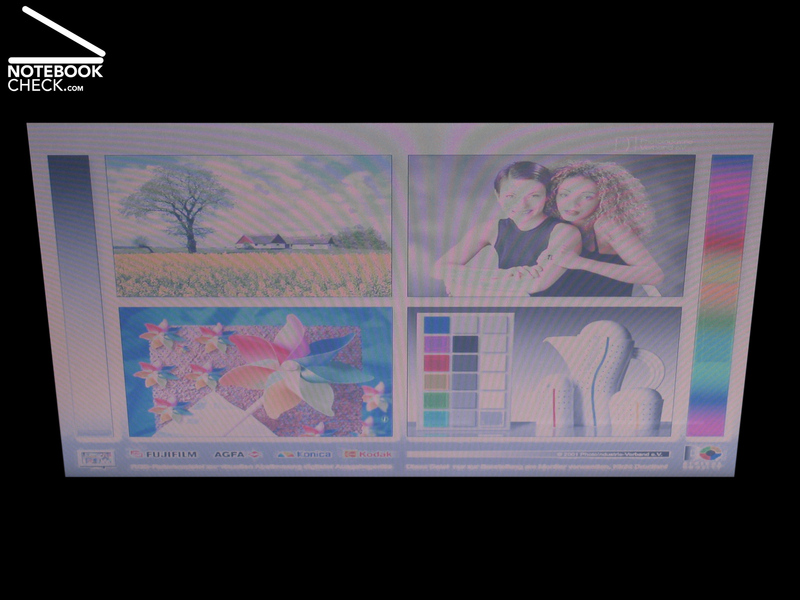 However, the 'VibrantView' screen reflects heavily, so, it is not fit for outdoor usage. But, the display is evenly bright. With an illumination of 85.8 percent it deserves a 'very good' in this aspect. Thereby, the difference between the darkest part at the left upper corner, where we measured 139.9 cd/m² and the brightest part, the right bottom corner, where we measured 163.1 cd/m² is only 14.2 percent – brilliant! The contrast calculated from the minimum representable brightness (black value) of 0.8 cd/m² and the maximum brightness is 204:1. 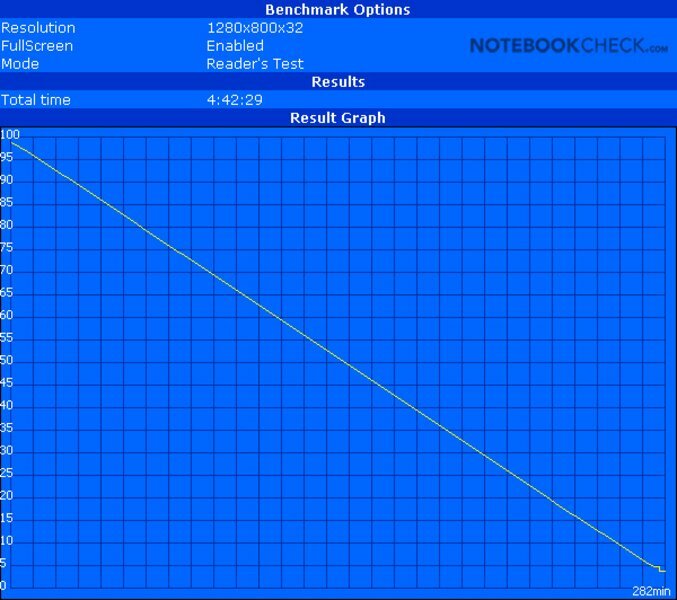 Compared to other reflecting screens of this notebook category this is just average. 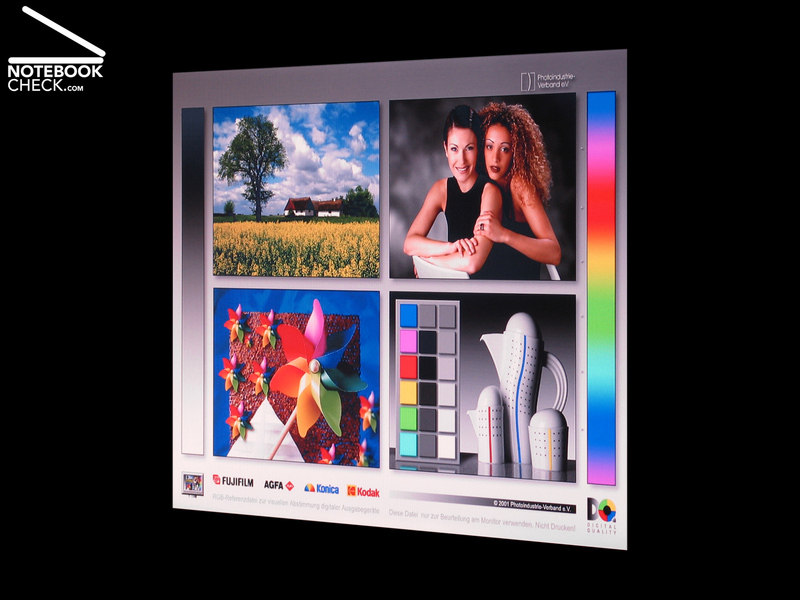 Directly compared to our 20 inch reference display, a Viewsonic VP2030b, the quality of the picture is good. 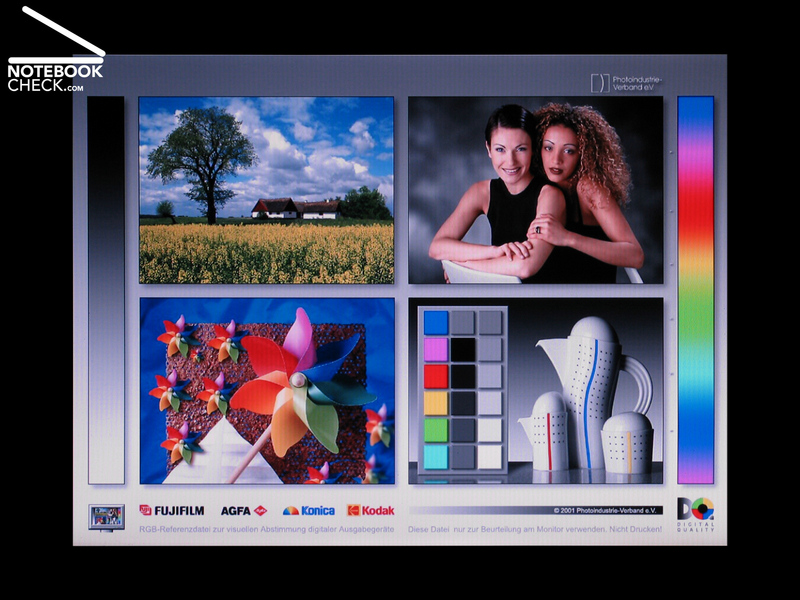 Despite having a slight blue tint, which appears to be typical for today's notebook screens, the screen of the 3000 N200 has brilliant colours. 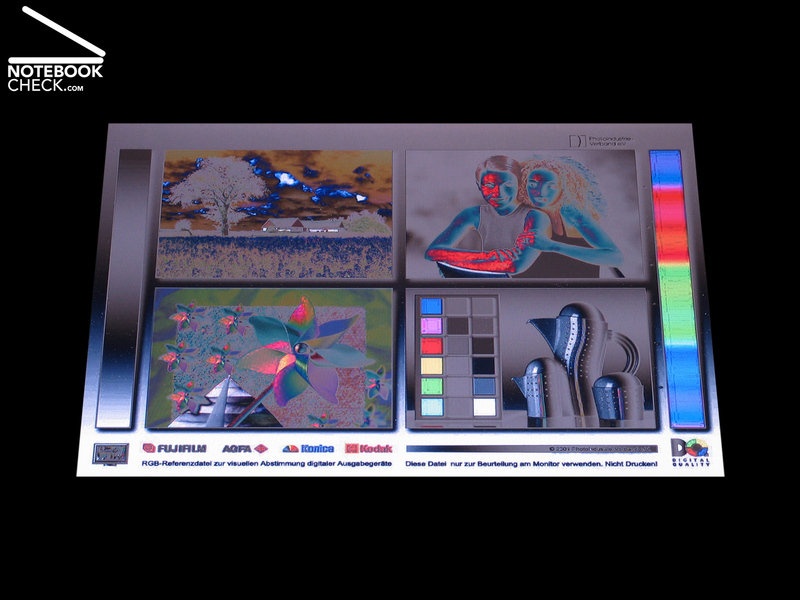 The reference pictures look vivid without being extraordinary colourful on this so called 'VibrantView' screen. The viewing angles are horizontally alright, but the quality of the picture depends heavily on the vertical viewing angle. 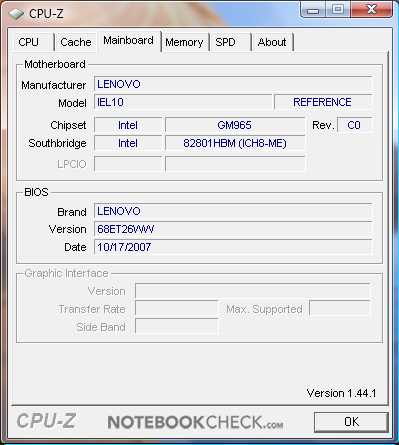 The central processing unit of the Lenovo 3000 N200 is a T2330 (Pentium Dual Core mobile processor ) by Intel, with a clock rate of 1.6 GHz per core. 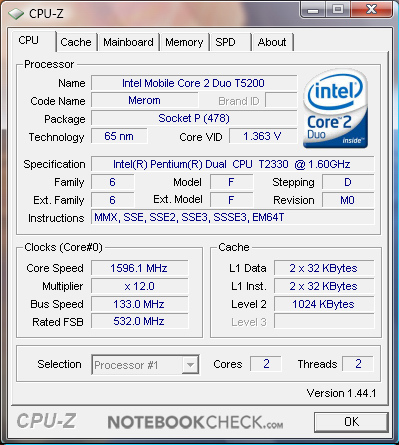 Due to 1 MB second level cache, a 533 MHz Front-Side-Bus (FSB), and the rather low clock rate of the T2330 the office performance is just 'good'. However, the default RAM capacity of 1 GB is too low for the pre-installed Vista Home Premium. Many pre-installed tools and software use already a huge amount of available RAM, furthermore, a part of the important RAM is shared with the integrated video chip, a GMA X3100. Furthermore, booting the system requires 3 minutes, which is unusual long. Windows XP would be clearly the better choice for this notebook. If you, nevertheless, plan to run Vista, you should double to RAM capacity and upgrade to 2GB RAM from the very beginning. 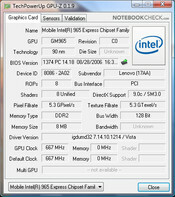 CPU-Z Information of the Lenovo 3000 N200. At least the Lenovo 3000 scores 3,379 points in the PCMark05 benchmark by Futuremark, which indicates an average application performance for a dual core system.The 'Rendering Multiple CPUs' value of 3,359 in Maxons' Cinebench R10 proves that this notebook with T2330 CPU is no longer up-to-date, if you compare it to notebooks with up-to-date CPUs. Nevertheless, considering calculation power only, the performance is easily sufficient for office and non-demanding multimedia applications. 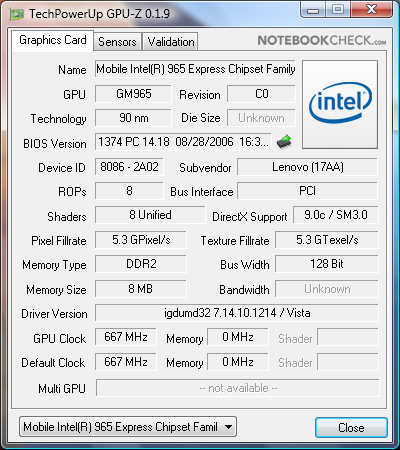 Today notebook of this price category are usually equipped with the energy saving GMA X3100 , an integrated video chip by Intel, and so is the Lenovo 3000 N200. This is alright for non-demanding multimedia applications and older games. 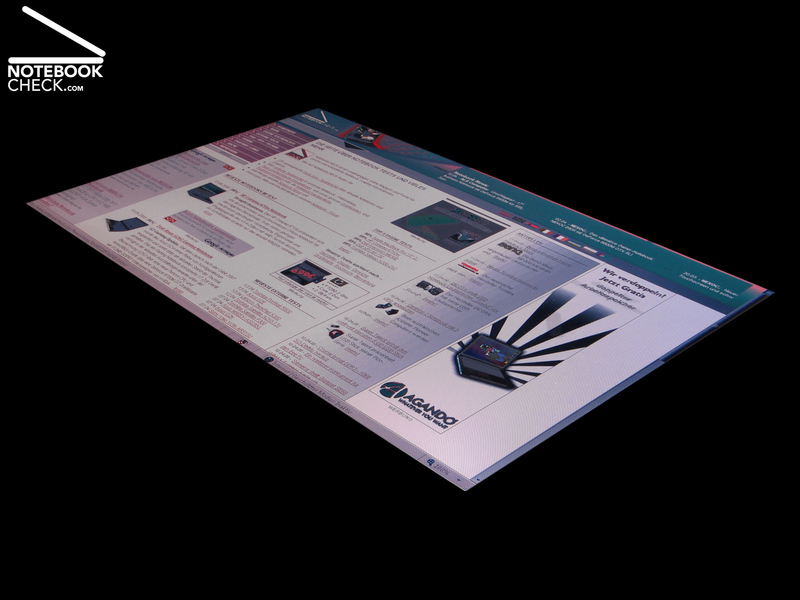 However, it is not designed for 3D-demanding applications. E.g., the Futuremark 3DMark06 result (driver version 7.14.10.1214) is only 419 points. 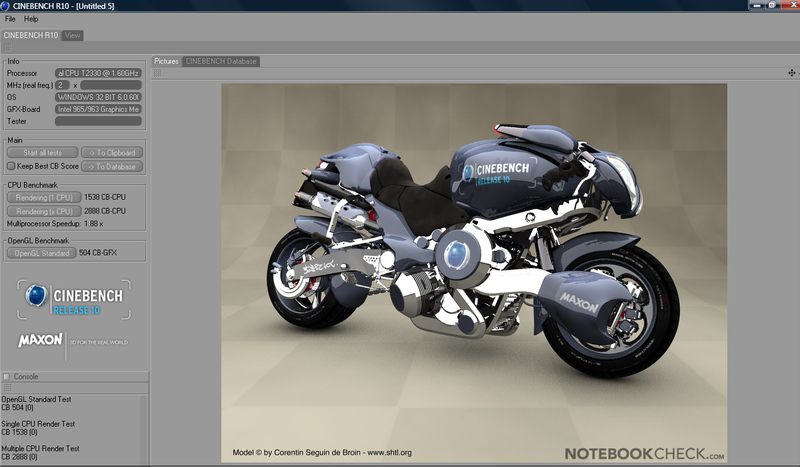 The Shading test results in 504 points which once again proves the low 3D performance of the X3100. However, the mass storage capacity is big. The SATA hard disk, a HTS541616J9SA00 by Hitachi has a capacity of 160 GB and 8 MB cache. Running at a revolution speed of 5.400 rpm this Travelstar 5K160 reaches an average transfer rate of 37.6 MB/s, measured by HDTune, which is satisfying.The optical drive, a GMA-4082N by Hitachi-LG was rather slow in our test (dual layer: 2.4x). Furthermore, this burner is very loud in use. Regarding gaming performance it is obvious that the X3100, an integrated video chip, cannot work wonders. Basically, the X3100's improves the energy demand and allows a lower price. If you want to play demanding up-to-date 3D games, you'll definitely need to choose a more expensive computer, with a powerful dedicated video card. Nonetheless, the video performance is sufficient for simple multimedia applications and elderly, non-demanding games. 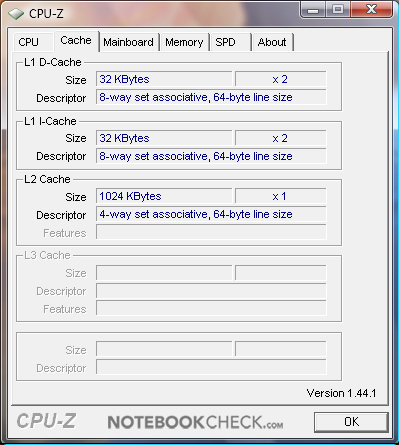 As soon as the notebook gets warm, which takes a while, the fan is controlled in a way that the noise level raises and falls between 36.4 and 37,1 dB(A) in idle mode. Even, those not utterly sensible might be annoyed by the high-frequency and frequently changing noise of the small fan after a while. If the load gets moderate to high, the fan gets even louder. Up to 43,2 dB(A) is clearly above the average of this notebook category. The DVD drive, a GMA-4082N is also not really quiet. While we watched a DVD movie, we measured 45.6 dB(A). When the computer starts to read an optical media, we measured for a short time even 46,3 dB(A). But, temperatures are alright. We calculated an average temperature of 30.8°Celsius for the top side of the 3000 N200. 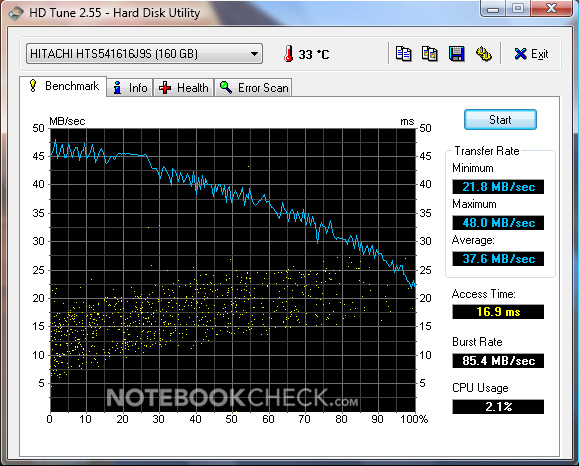 It is especially worth mentioning that the bottom side, for which we calculated an average of only 27.6°Celsius, of this Lenovo notebook stays even cooler. Also the maximum temperatures, which are 36.5°C at the top side and 29.6 side at the bottom side are rather cool. 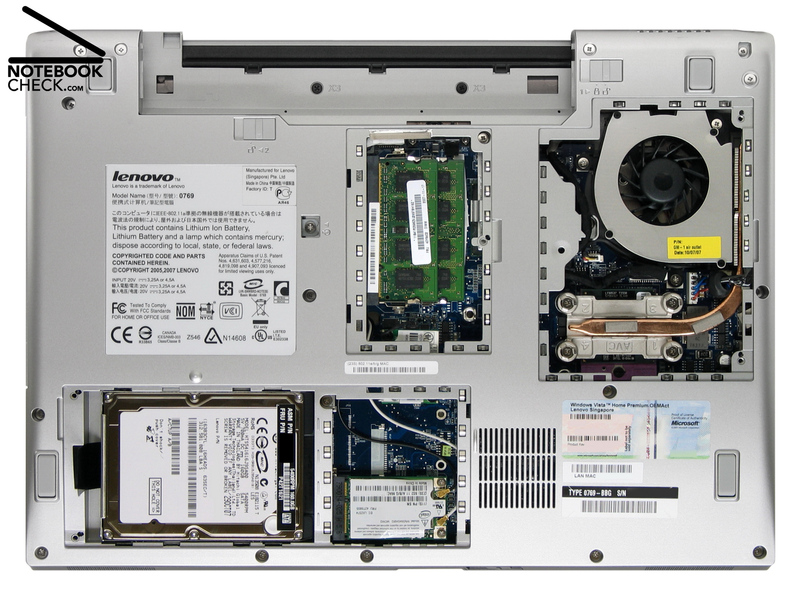 To summarize, the Lenovo 3000 N200 rates 'very good' in this aspect. The sound of the stereo speakers, which radiate to the front, is surprisingly not bad. Despite basses are not really audible, the middle and high tones sound quite balanced. The maximum volume is comparably low, but, hardly distorted and furthermore, not tinny. The quality of the sound via analogue headphone port is also excellent. Combined with our reference headphones, Bose in ear headphones, the sound is really strong. The headphone port and high-quality headphones are a perfect combination, which provides sappy sound - sound which literally pleases the ears. The energy demand in mains operation ranges from 17.1 to a maximum of 25.1 Watt in idle mode. This is about as good as other notebooks with comparable equipment. The runtime under average and full load is also alright. 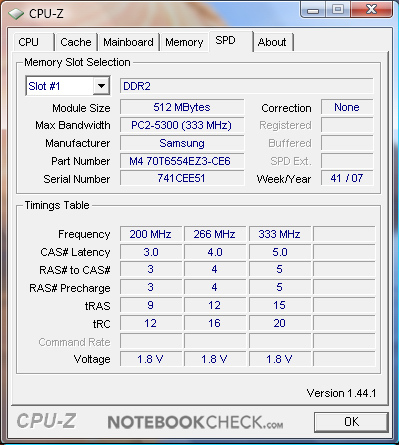 We measure 36.7 Watt (Cinebench R10, one CPU-Kern) respectively 55.7 Watt (full load). Unplugged a 6 cells battery with 51.84 Wh provides the 3000 N200 with energy. Depending on the performance demand and the brightness of the display the battery runtime for, e.g. reading during a journey, is up to nearly 4 hours 45 minutes (Battery Eater Reader's). If you demand more performance during battery operation, you need to recharge the battery already after about 1 hour 15 minutes (Battery Eater Classic). To summarize, the battery runtime of the 3000 N200 is 'satisfying' to 'good with the default battery. Furthermore, there is an option for a powerful 9 cells battery with 79.92 Wh (11.1 Volt, 7,200 mAh). The thicker high-performance battery is slightly bigger than the battery slot and projects above the back side of the notebook. Furthermore, it increases the weight by 160 g. At the time of writing this battery, order number 41U5027, can be bought in Germany for about 149,- Euro plus shipping fee. 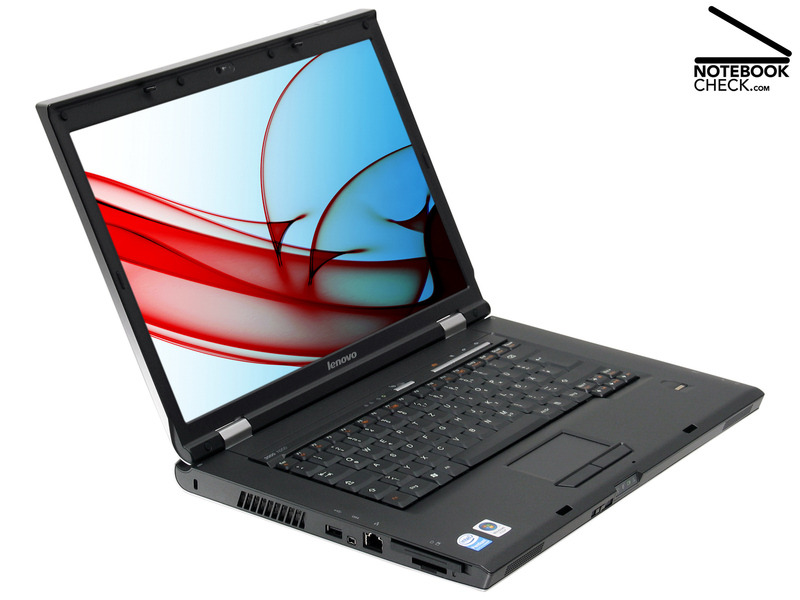 The Lenovo 3000 N200 (0769BBG/TY2BBGE) is a good notebook with a great price. 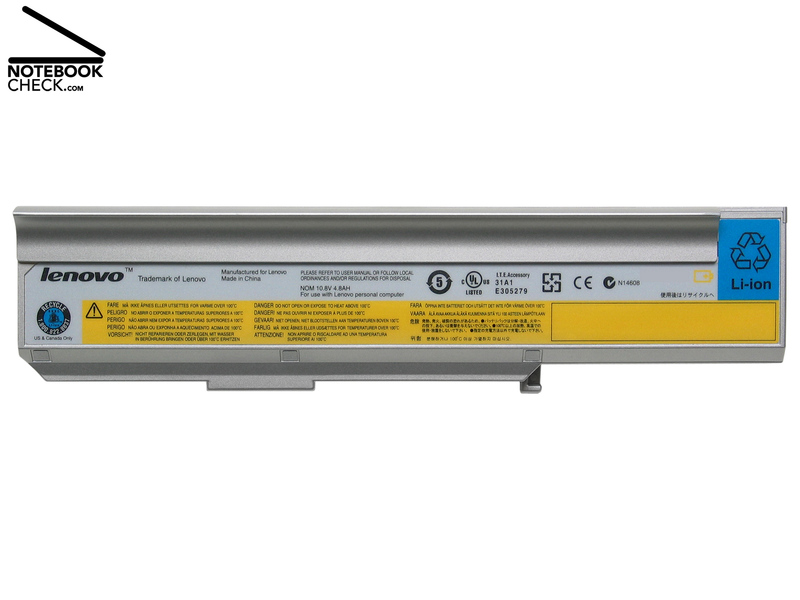 Besides the good workmanship, the Lenovo 3000 N200 scores points by solid input devices and a good equipment. 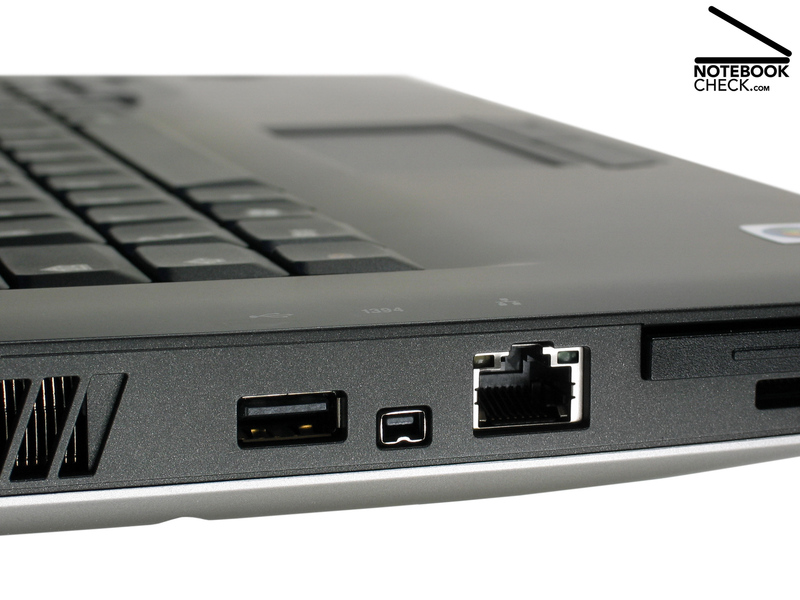 The default equipment of the 3000 N200 includes, besides a lot of hard disk capacity, also Bluetooth, fingerprint reader, and a web-cam, which is rather unusual considering its price. To summarize, the 3000 N200 rates 'good', because of its passable office performance, low temperature emissions, and a brilliant and evenly illuminated widescreen. 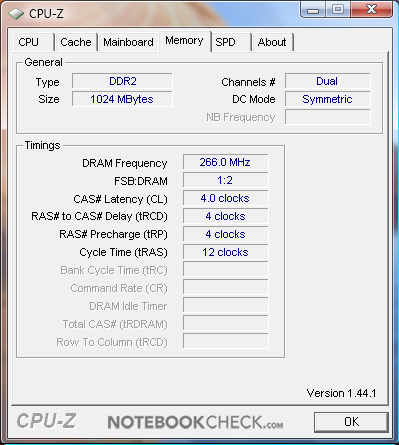 Due to the low RAM capacity it does not rate better. Combined with Windows Vista the performance slumps down. 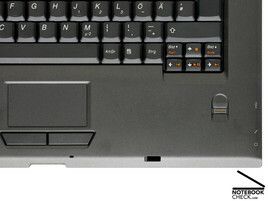 The clearly audible noise emissions, missing cursor position keys and the sensitive finish of the lid are further cons. Instead of fast Gigabit-LAN only the slower Fast-Ethernet is available. Furthermore,k recovery media are not included and the HDD recovery takes in comparison a long time. 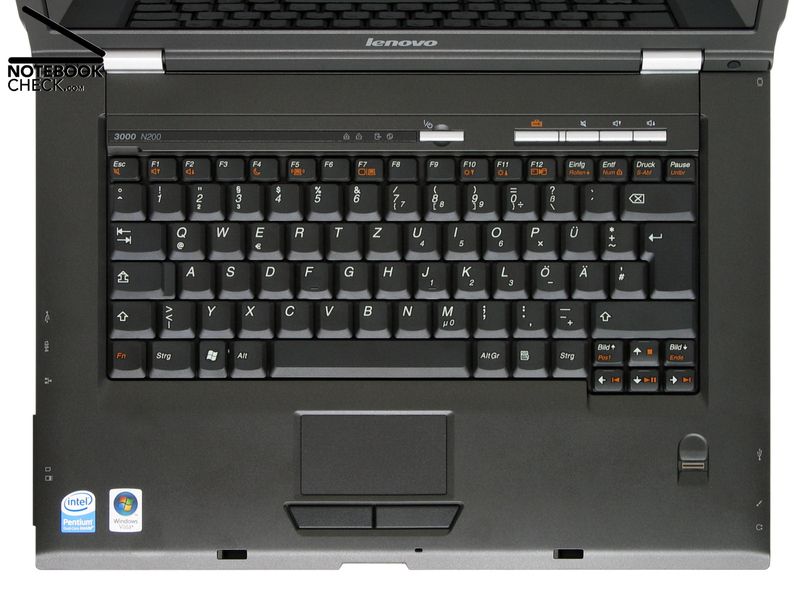 The reviewed Lenovo 3000 N200, model number TY2BBGE, costs in Germany 490.- Euro plus shipment fee at the time of writing. 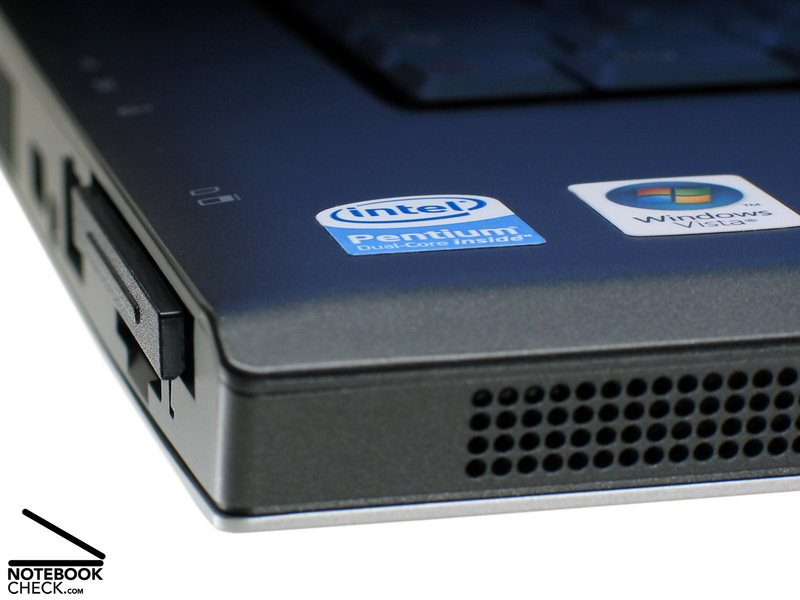 If you immediately upgrade the RAM capacity to 2 GByte, you'll get a notebook with great price-performance ratio. 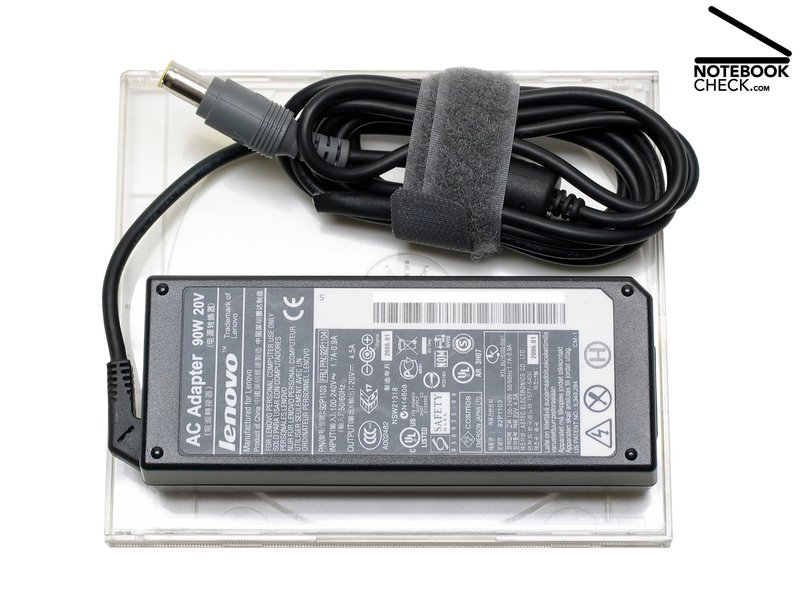 Akku: 320 g, Access Connections, Lenovo Care, Message Center, Presentation Director, Rescue and Recovery, 12 Months Warranty, Recovery media are not included and must be created from HDD. 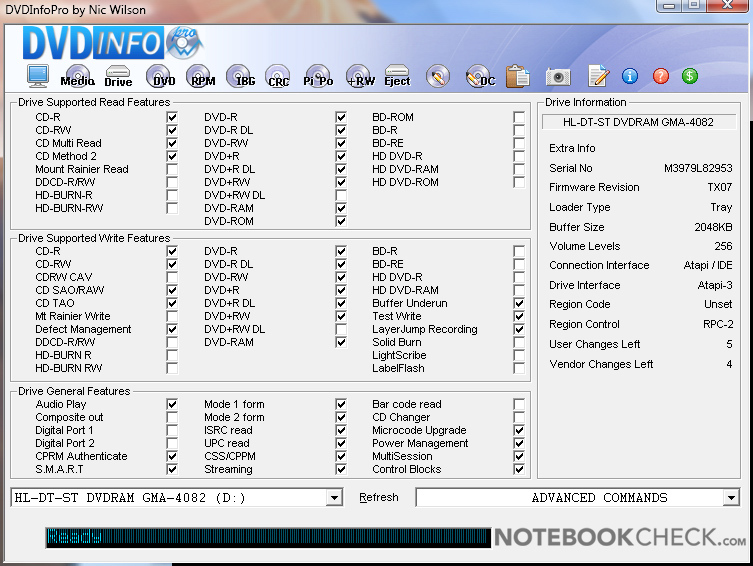 The recovery information uses hard disk space. It is possible to restore to the original state from HDD by using 'Rescue and Recovery'. Poorly equipped with accessories: No recovery media, however, HDD recovery works without problems, but, takes a long time. ...however, DVI or HDMI are not provided by notebooks of this price class. Besides smaller inaccuracies, the workmanship of the case is in general good. We would prefer Gigabit Ethernet to Fast-Ethernet! The plastic dummy of the ExpressCard/54 slot slightly projects over it. ...and hot keys increase the user-friendliness. Fingerprint readers are seldom provided by notebooks of this price category. The keyboard is solid, but the layout unusual. Neat: Power supply unit and hook-and-loop tape, copied from the ThinkPads. The silver lid is sensitive to scratches, the bottom part very solid. Its a functional design without ornaments. The choice of colour is as usual a matter of taste. The silver finish at the bottom side is also sensitive to scratches. The core components can be easily accessed and therefore also easily cleaned. Good equipment: 160 GB hard disk and Pro/Wireless 3945ABG WLAN. 1 GByte RAM is not sufficient for Vista. The noise emissions of the cooling system are not ideal. But, the 3000 N200 is efficiently cooled down and doesn't get hot. The battery runtime of the default battery is 'satisfying' to 'good'. A web cam is also built-in.